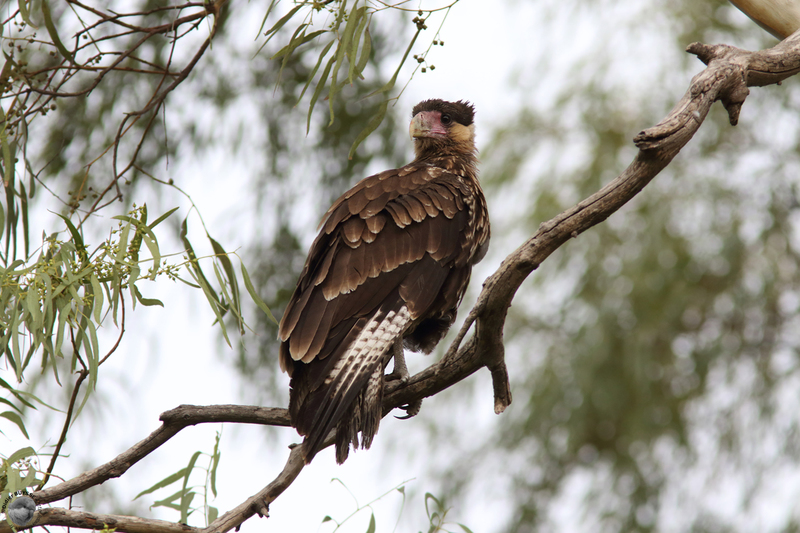 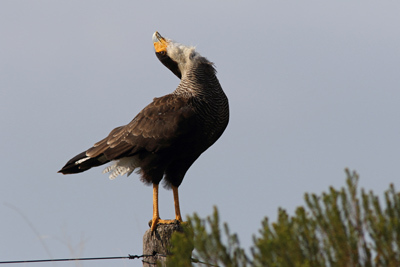 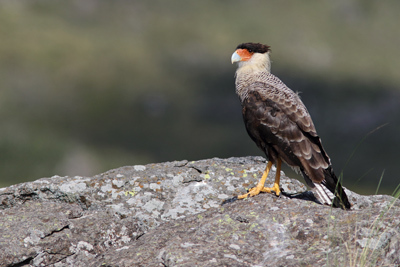 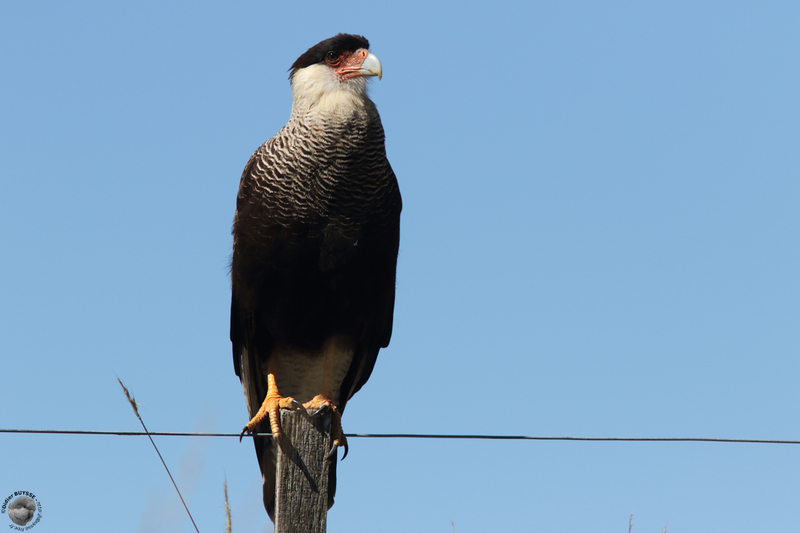 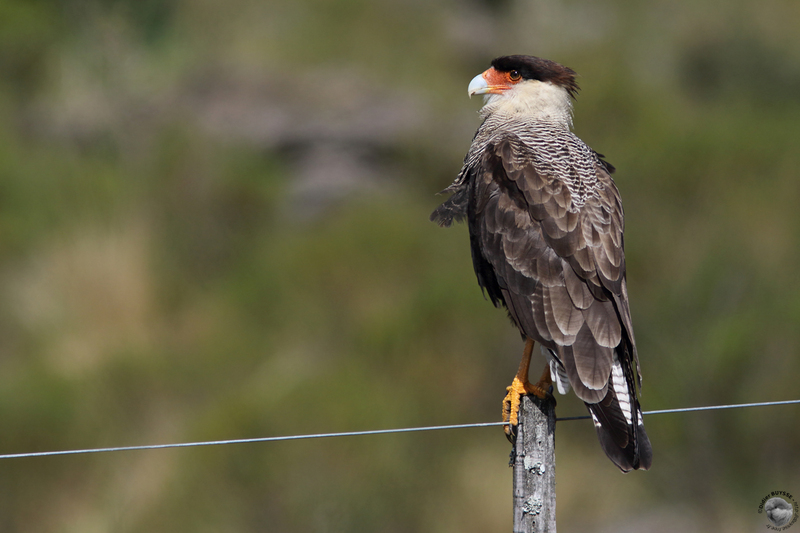 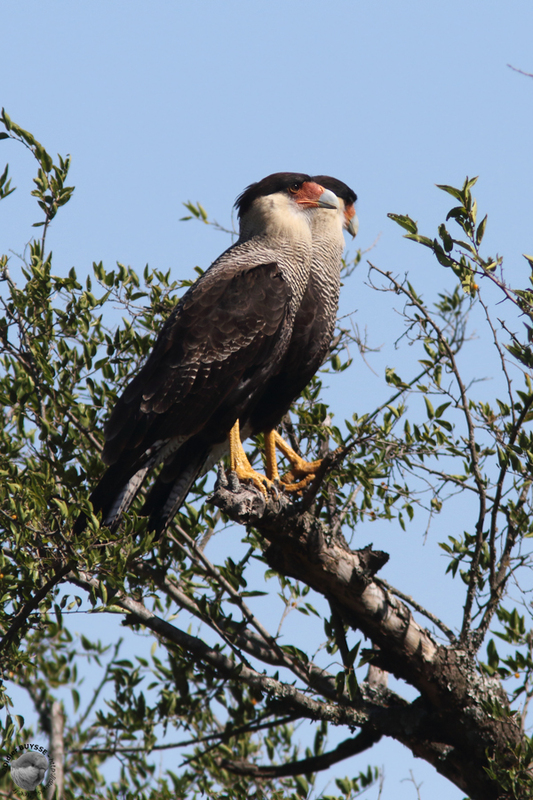 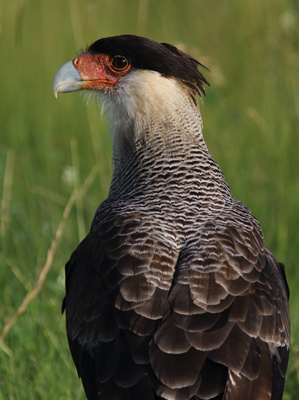 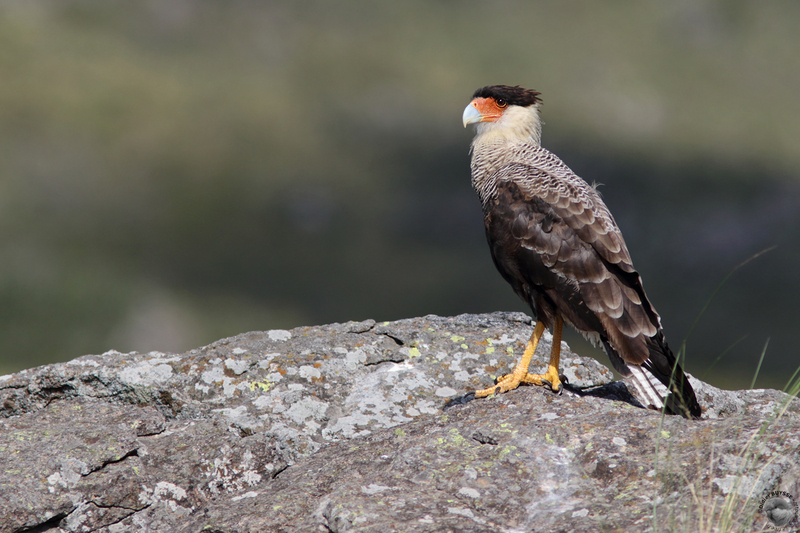 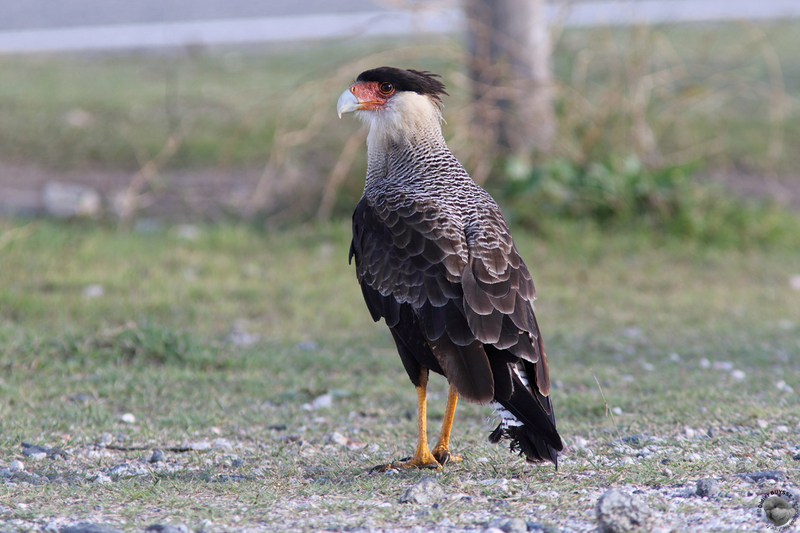 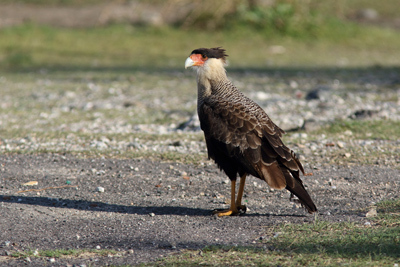 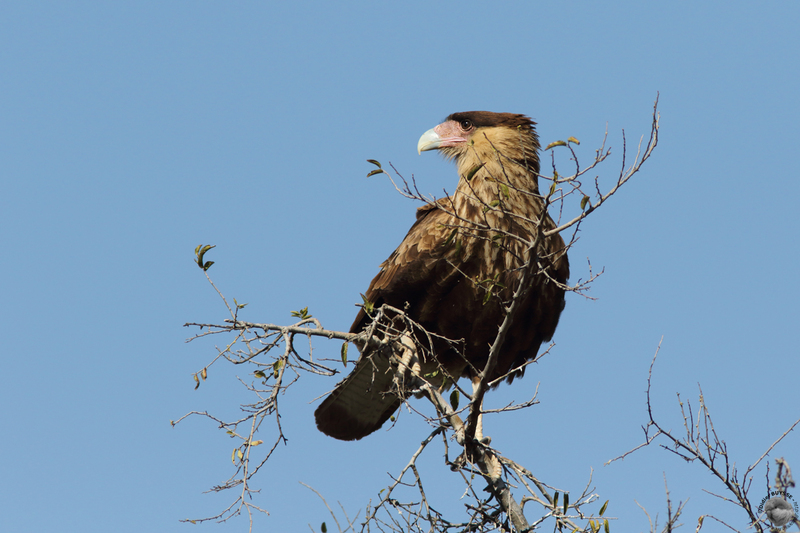 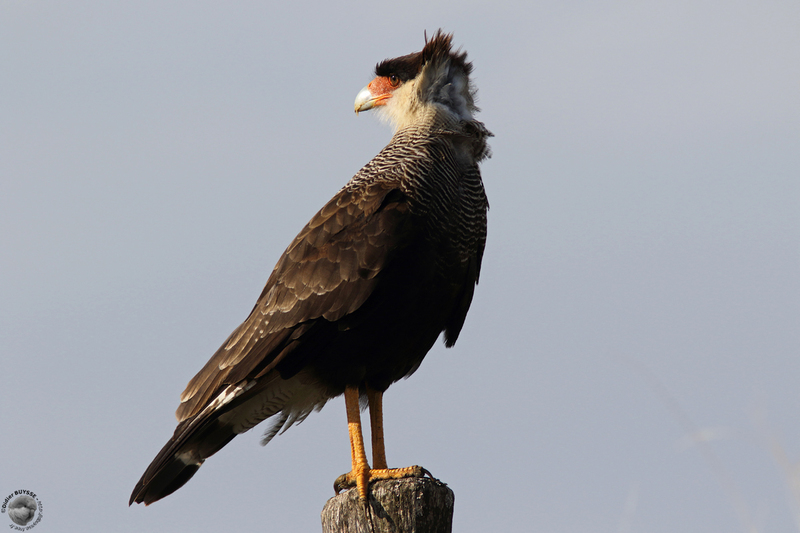 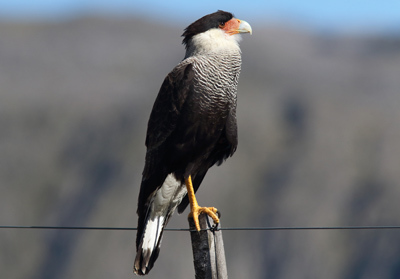 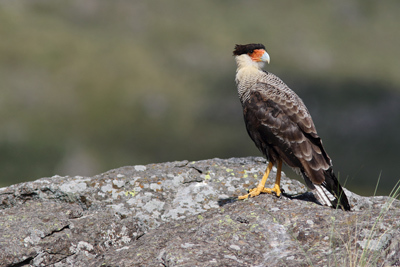 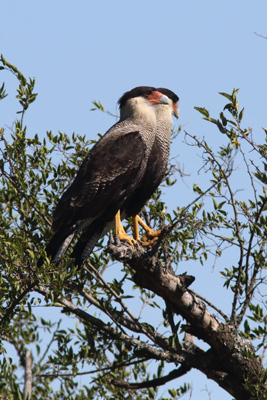 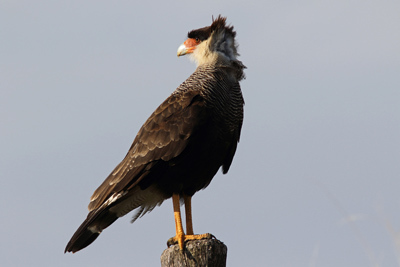 Caracara huppé, Pampa de Achala dans le parc de la Quebrada del Condorito, Province de Córdoba, mars 2018. 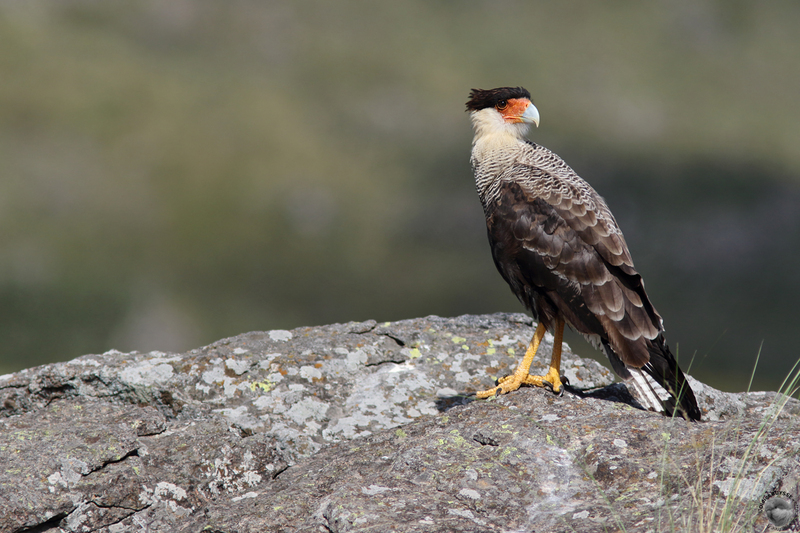 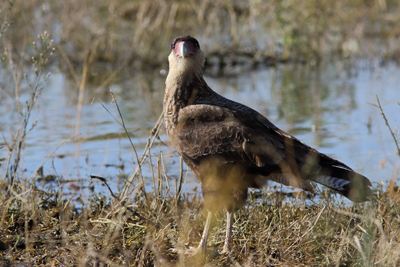 Southern Crested Caracara, Achala Pampa in the Quebrada del Condorito NP, Province of Córdoba, in March 2018. 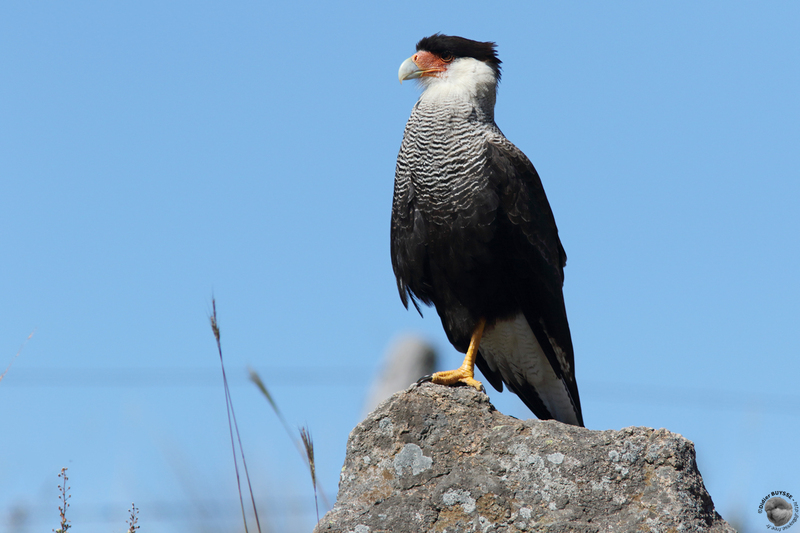 Toutes les photos ont été prises dans la province de Córdoba. All the pictures were taken in the province of Córdoba. 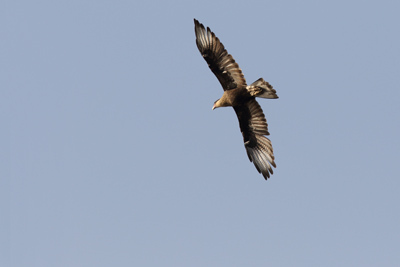 Les jeunes sont déjà émancipés et le couple reste uni. 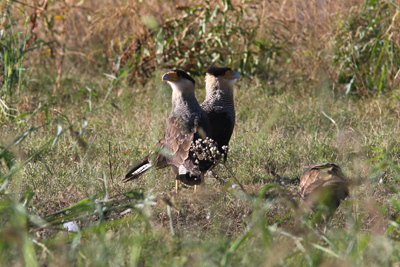 The young birds are already emancipated and the pair remains together. Un couple avec un Caracara chimango au premier plan. 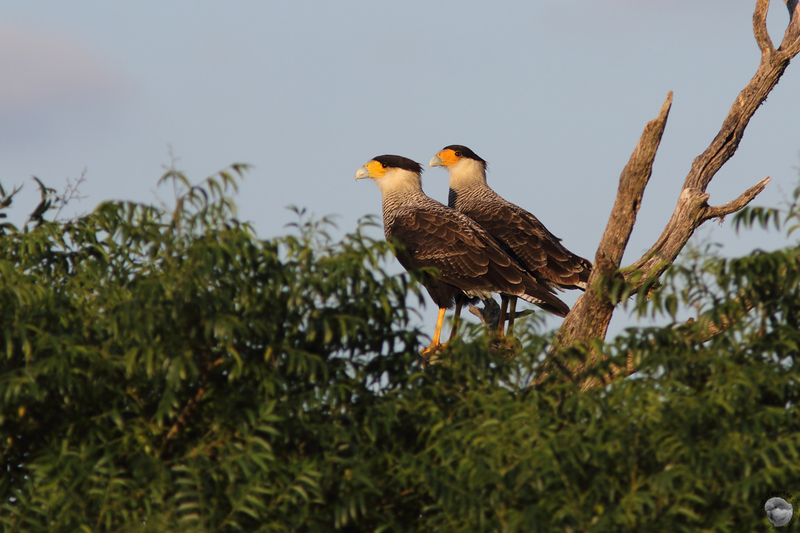 A pair with a Chimango Caracara at the foreground. 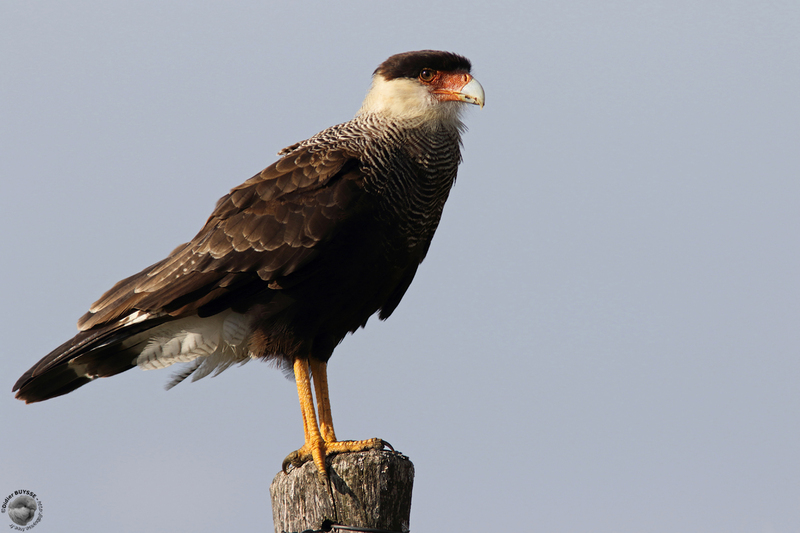 Un immature, en août 2018.